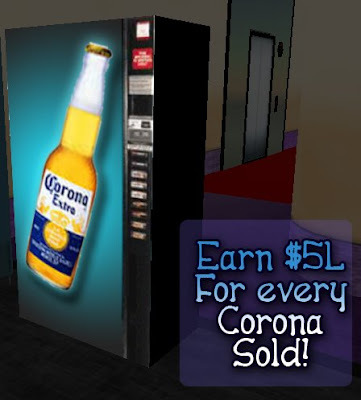 "This Corona Vending machine will quickly pay for itself even in low traffic areas. It is the perfect visual addition to your club, casino, restaurant or even home! It is a fun vendor with a fun product. Easily earn $5L unlimited times over selling the copyable Corona drink inside the machine. A great investment oportunity to make some good money with minimal investment!"